Some occasions call for the extraordinary. 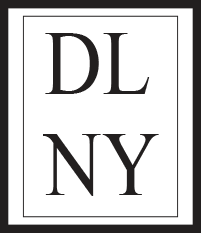 At David Lance New York we pride ourselves on providing you with just that. We understand that a complete wardrobe includes the prodigious formal wear necessary for when the occasion calls for it. Not only do we beautifully craft your formalwear, we take the time to pay attention to your schedule and personal needs, ensuring that your formal wear is appropriate for the occasion. A tuxedo is not simply a tuxedo – intent is an important part of our design. The tuxedo that we make for a groom, or the man of the hour, will differ than the tuxedo of a man attending a black tie event. These small deviations in detail make all of the difference. When formal wear is made from scratch, there truly is no limitations. We want to make sure your tuxedo fits you impeccably and your event seamlessly, while still making sure that you stand out from everyone else in the room.